Our DJs go Above & Beyond for you. Goodbye corny elevator music and empty dance floors, hello Above & Beyond! It’s time to celebrate in the best way possible. Over twenty years of combined DJ and MC experience delivering tasteful, quality entertainment that will be sure to have your guests dancing all night long. Get in touch here. Tell us more about your event! People have called us “San Francisco’s guaranteed good time” and a “trusted source for a stress-free event.” We’re up for wheeling grandma to the middle of the dance floor, spur-of-the-moment human tunnels, parachutes and special announcements. We’ll go above and beyond to ensure your day is an unforgettable, magical event that will stay with you and your loved ones forever. AirBNB 2015: Playing 5 hours for a few thousand people. we work hard to keep the dancef loor packed. It's simple; we love what we do. Our clients love us as much as we love them. So much so, the majority of our business continues to come from referrals. Our founder, Beau Bergeron, has been called the “genius of packed dance floors.” His thoroughly vetted, hand-picked team has a combined two decades of experience orchestrating hundreds of weddings, as well as working with companies like Airbnb and IDEO. We’ve rallied the industry’s best and the brightest to make your event a hit. Your big day should be as unique as you are. We only work with a select number of clients at a time, to ensure that we are giving each one the attention and service they deserve. Above & Beyond DJs do anything and everything to make your big day sing. We can host and facilitate as needed and always bring our whole heart to every event. You need a DJ you can count on. 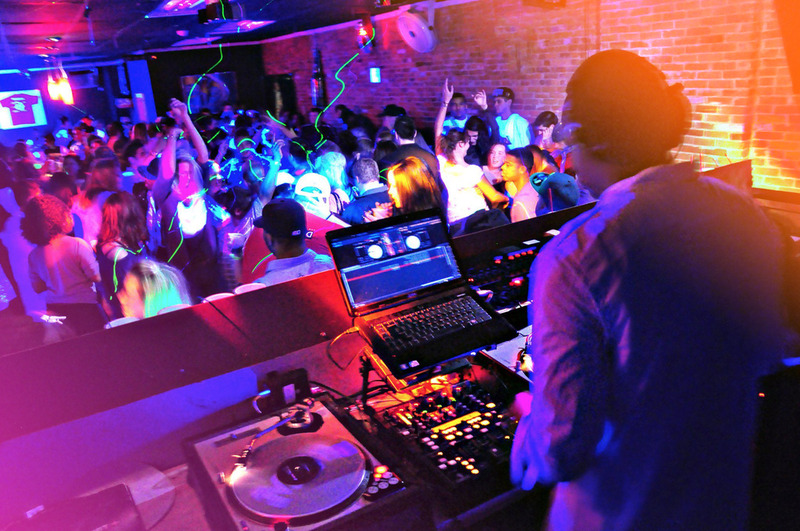 Our DJs are first and foremost total professionals that show up early and deliver to the very end of the night with sophistication and service. The biggest part of your night is the music and dancing! We get everyone on the dance floor and keep it going all night long. We are based out of San Francisco, but we're happy to go the distance for your event.